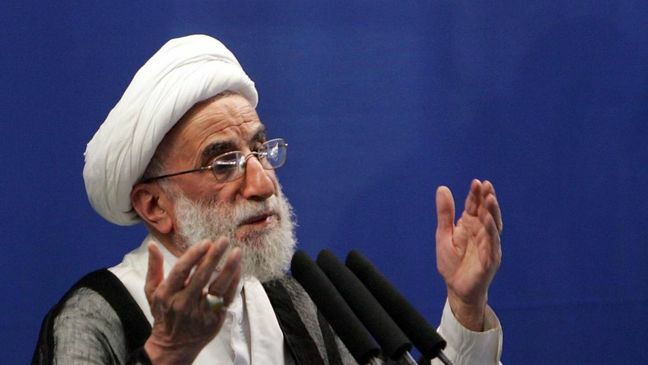 EghtesadOnline: A top cleric lashed out at European states for failing to deliver on their pledge to take practical steps to uphold the 2015 nuclear deal following the US withdrawal, saying he believes Tehran will eventually be compelled to ditch the deal. “Some [officials] had thought they could rely on the Europeans when the US exited JCPOA,” Ayatollah Ahmad Jannati, chairman of the Assembly of Experts, said on Thursday, referring to the nuclear accord by its official title, the Joint Comprehensive Plan of Action. “The Europeans, however, are dragging their feet and would do nothing to meet our interests,” he was quoted as saying by IRNA. According to Financial Tribune, the US opted out of the JCPOA last May. In response, the remaining European signatories, namely Germany, France and Britain, vowed measures to compensate for the US departure to ensure Iran remains in the deal. Iranian officials are annoyed by the long delay in the establishment of a promised special payment mechanism by the European Union, which is aimed at sidestepping the US bans to facilitate trade transactions.